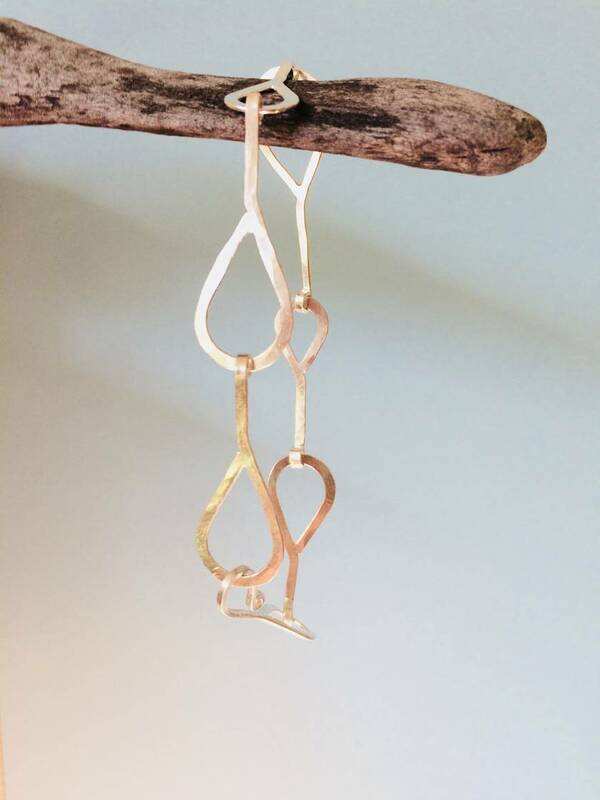 Quirky but sophisticated, this series uses the simple form and beauty of links to create unique shapes with personality and charm. The bracelet is light to wear and the links fall nicely against your wrist. Casual enough for everyday wear, but also adds playful elegance to any outfit. All links individually formed, hammered and soldered .925 sterling silver wire and handmade clasp. 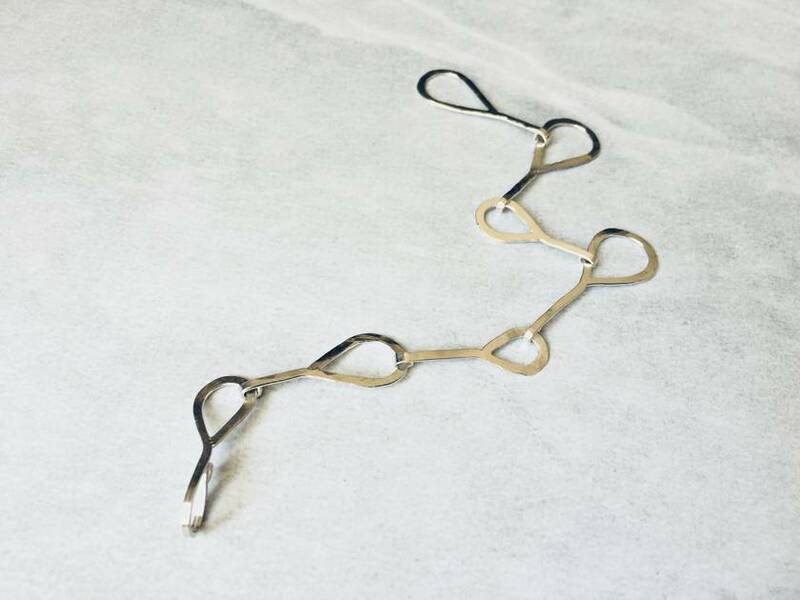 This bracelet is made of teardrop links of various sizes with matching clasp. Longest teardrop link is approx. 30mm long. This bracelet length is a snug 18cm.